I appreciate vinyl records as an art form. There are so many surfaces to customize. 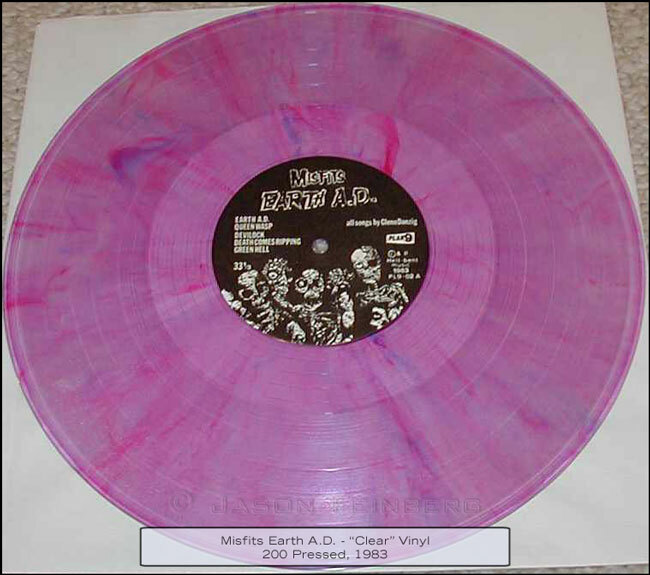 I got into collecting vinyl of my favorite bands about 20 years ago, starting with The Misfits and Samhain. 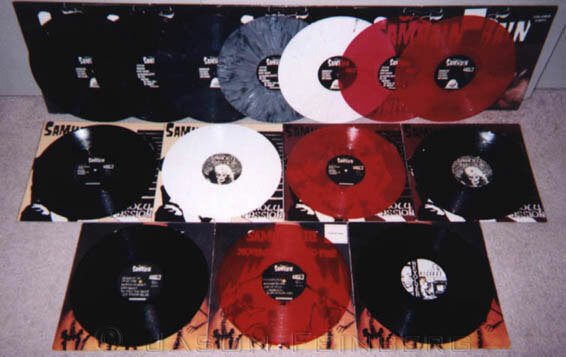 At one point I had every variation of every Samhain record and a huge chunk of Misfits vinyl. Here's a picture of some of the Samhain collection. 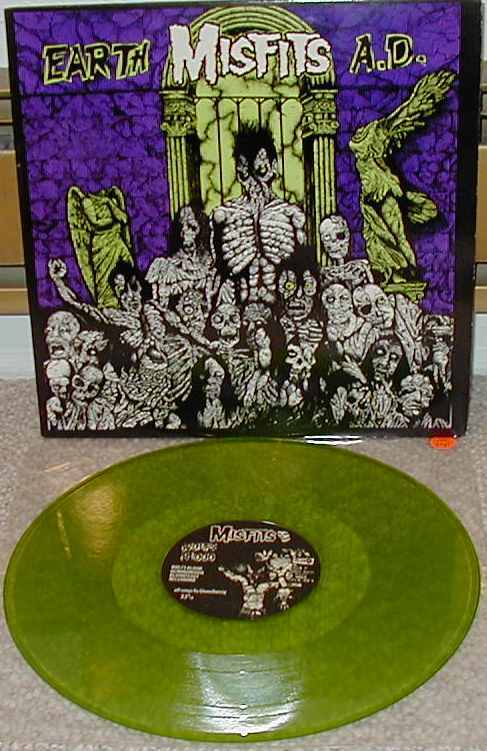 And a green Misfits Earth A.D. (100 pressed in 1983) and a clear one. I lived in and around Seattle from 1997 - 2001 so I was fortunate to be in the right place at the right time and got to see the Murder City Devils live. All it took was one MCD show and I felt it. I went out and immediately bought everything I could find. Over the years I've filled in the collection including all sorts of rare and unique pieces from the band's history. I'm eternally bummed that I didn't come across MCD til sometime in 1998 - I think the first time I saw them live was around Empty Bottles, Broken Hearts. I would have loved to have seen the bands leading up to MCD such as Area 51, Cleavers, Death Wish Kids, and the Hookers. Their music reminds me so much of bands I was in throughout high school and college, and the lyrics and vibe take me back to what I imagine to be some similar experiences. What makes the Devils stand out is that they understood rock n' roll is about far more than following the ol' formula - that it's a lifestyle you either naturally know or don't. The music, the lyrics, the attitude, the art, the look, and the vibe all have to be in sync. Of course it's more than that - it really comes to down to, as Spencer says, "a preacher's mouth and a rock n' roll heart." You either have it or you don't, and the Devils had a combination so few other bands in the genre have possessed - a gripping sound, a distinct message, a touch of the mysterious, and the know-how to give the fans exactly what they wanted. With that in mind, I have created this site to showcase the brilliance and legacy of the Murder City Devils (as well as bands pre and post). If you are interested in selling or trading, email me.